Execute the following command to update the local repository index of yum package installer. Just type node on the terminal to get the node.js working. We can now execute the statements on the node.js script mode. 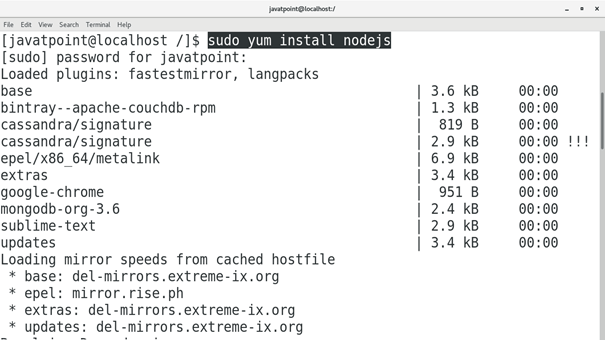 Just type node -v to check the version of node.js installed on our CentOS. Hence, we have installed and get started with Node.js.